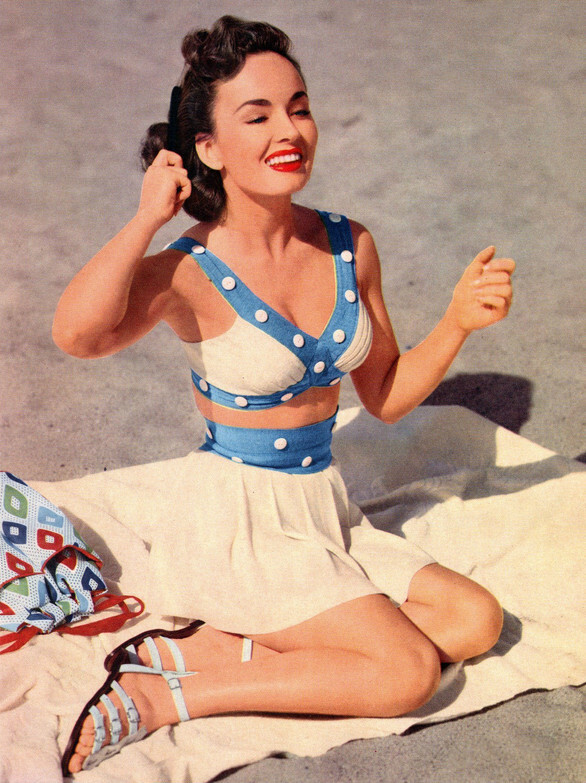 One of my favourite vintage trends for summer is the two piece playsuit! 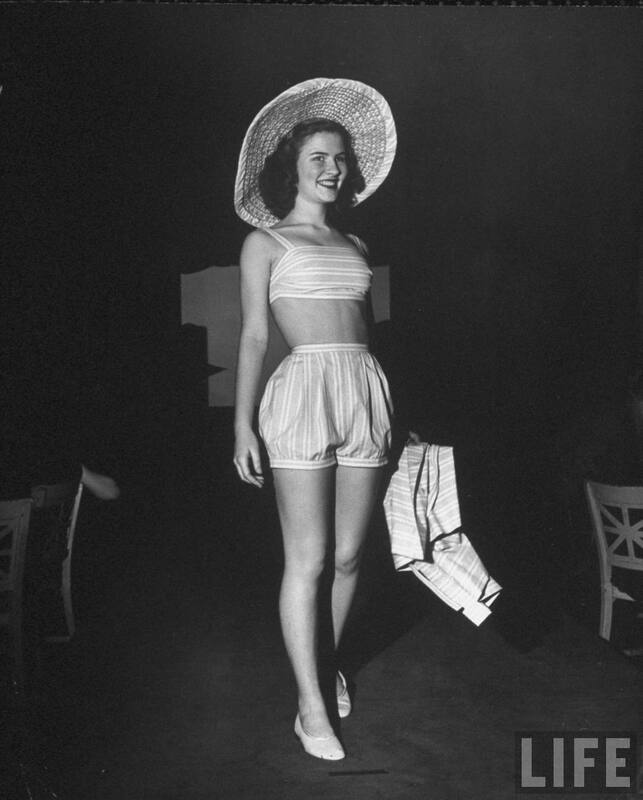 The term ‘playsuit’ is usually used to refer to a garment that combines a top and shorts all in one (also known as a ‘romper’) or a top and pants (also know as a ‘jumpsuit’). You could also use the term ‘playsuit’ to refer to a combination top and bottom that are made from the same fabric, or combination of fabrics, also known as a two piece playsuit. The bottoms on a two piece playsuit could be pants, shorts, a skort or a skirt. 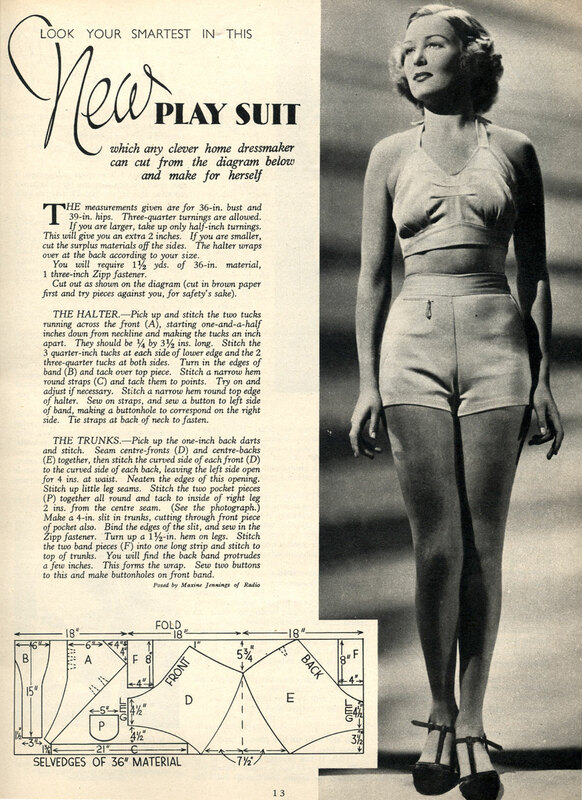 The two piece playsuit speaks to a time when quality and custom clothing was more common in fashion. Nowadays most of the clothing we buy is mass produced in factories overseas and is cheaply made and not meant to last. 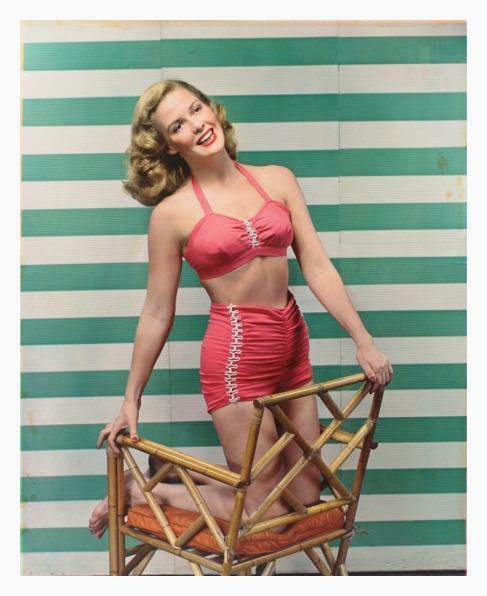 In the 1940s, 50s and 60s when you were likely to see this kind of playsuit set they were often made by tailors, local designers, and from home-sew patterns and included fun matching details that made the separates a completely co-ordinated outfit. To me the two piece playsuit is not only very convenient and practical (who doesn’t love co-ordinating separates?) but it also looks elegant and super sweet!